Spelling bee champions, Aayansh S. (center), Hannah W. (left) and Olivia W. (right), took home first, second and third and received a gift card for their efforts. Thirty six second-graders lined up in anticipation to participate in the Inaugural Westchester Spelling Bee on Thursday, March 28 at Westchester Lutheran School. The students had been practicing for over a month for the competition, which aimed to promote a growth mindset and create a platform for local schools to collaborate, something that has been sorely lacking in the community, according to WISH mom and spelling bee co-organizer, Stephanie Rosen. 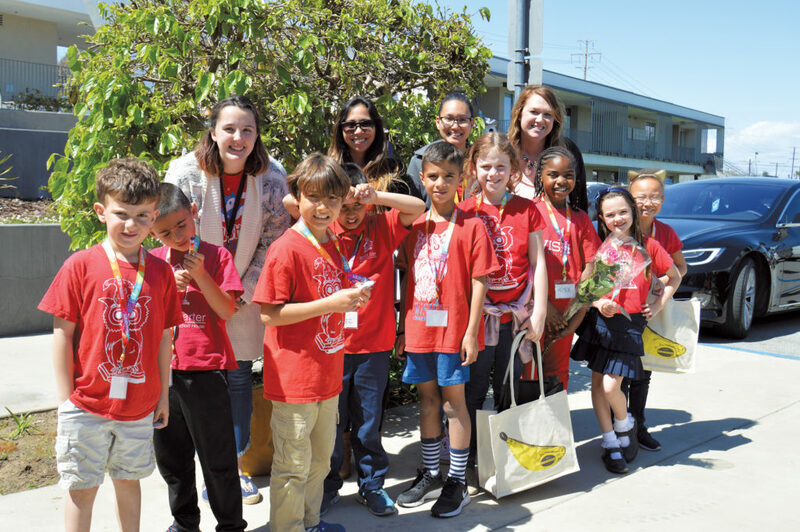 Paseo del Rey Elementary School (top) and Westchester Lutheran School students and teachers (below) pose for photos after the community’s inaugural spelling bee. The idea for the spelling bee sprung out of Rosen’s work as a tutor. 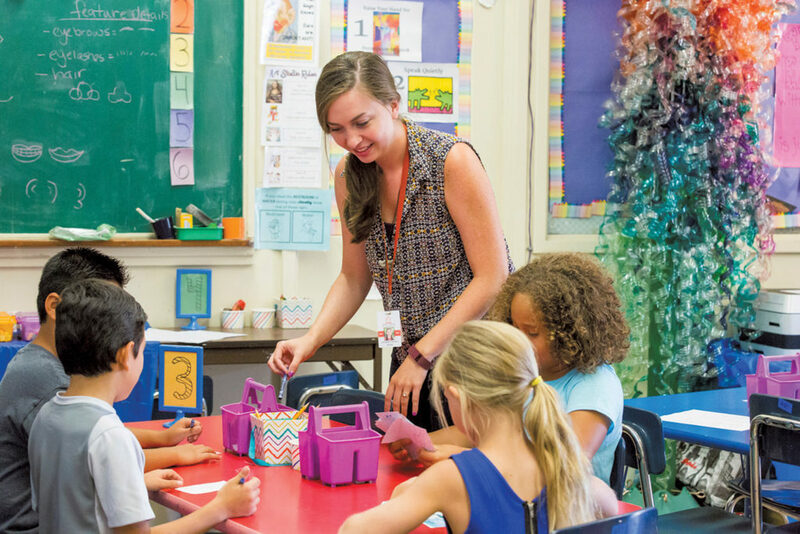 When she saw that her students were struggling with spelling because they rely on spell-check, she went to her daughter’s second-grade teacher to encourage including it in the students’ word work curriculum. Soon, little spelling challenges became part of classroom activities and the idea to contact other schools for an official Spelling Bee was born. Rosen reached out to Westchester Lutheran School (WLS) and was able to secure the help of Principal Emily Ingistov, who offered to host the event, as well as WLS parent, Lory Sarlo who came on board as the co-chair. Sarlo, who is also a member of the LAX Coastal Education Foundation, brought the idea to the board, which was eager to support the new event and encourages people to reach out with new ideas and partnership opportunities. The foundation agreed to sponsor dictionaries for all the participants, as well as prizes for the winners. When they heard about the event, Open Magnet Charter and Paseo del Rey Elementary School quickly jumped on board to participate. A few schools weren’t able to attend this year due to scheduling, but were interested in competing next year. Students were given a list of 100 words to practice for the spelling bee. Some teachers made practicing part of a mandatory homework assignment, while other schools made it optional, with students volunteering to give up their lunch breaks to study and compete in practice rounds. 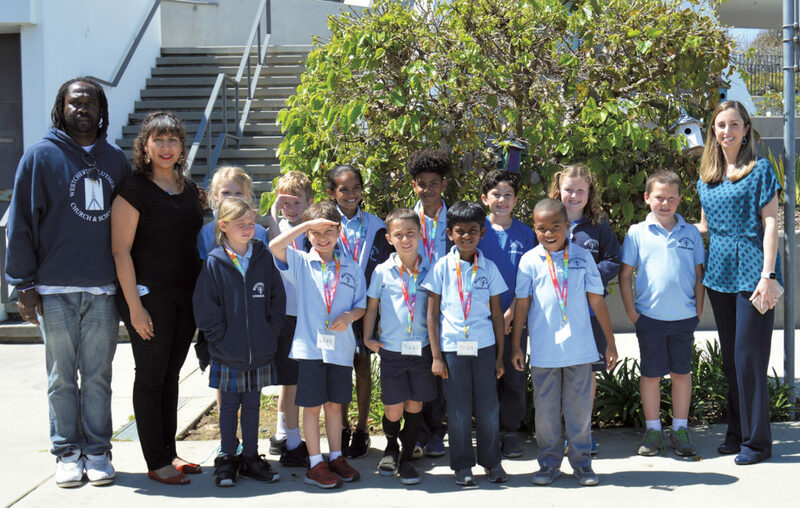 When it came time for the competition at Westchester Lutheran, students were called up on stage one at a time and given words by moderator Dr. Darin Earley, head of the LMU Family of Schools. During the first two rounds of the bee, students were asked to spell words from their practice list. 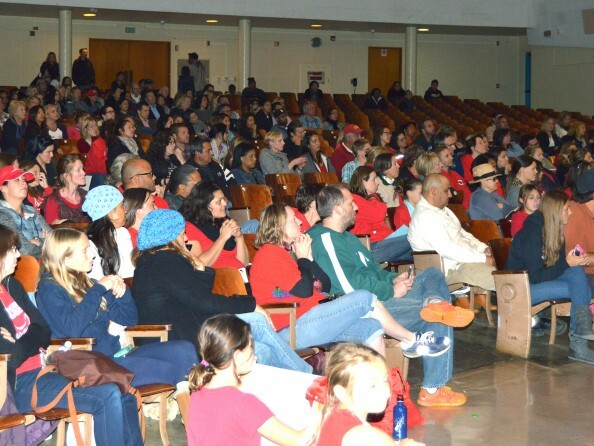 As the third round began, more than 50% of the students remained, bravely prepared to spell words they hadn’t practiced in front of a packed crowd. 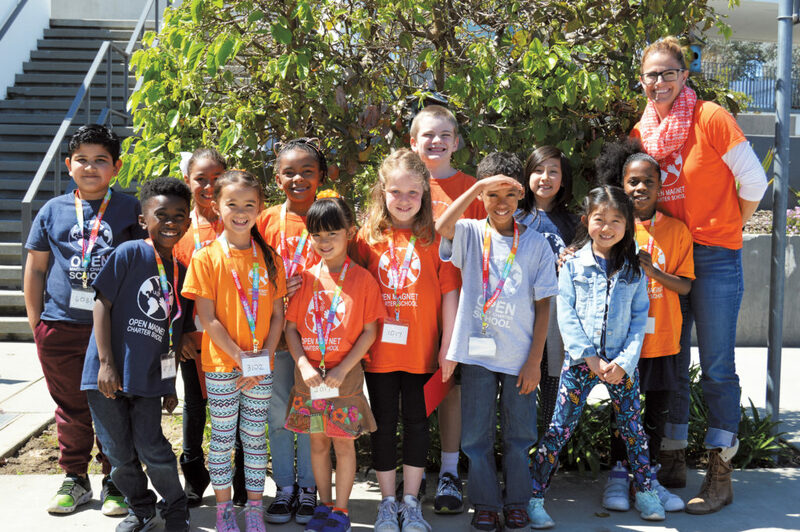 Heading up to the podium in rapid succession, students were faced with words like “illustration,” “cinnamon,” “gymnastics” and “memorization,” leaving audience members on the edge of their seats, as students carefully articulated the words presented to them. Silent applause met the students who made it to the next round, and a few tears were shed by those disappointed they misspelled their word by a letter or two. WISH second-graders show off their Bananagrams gift bags, which contained the popular game courtesy of local business owner Jeff DeLarme, a dictionary courtesy of the ed foundation and more. Open Magnet students celebrate after the spelling bee. 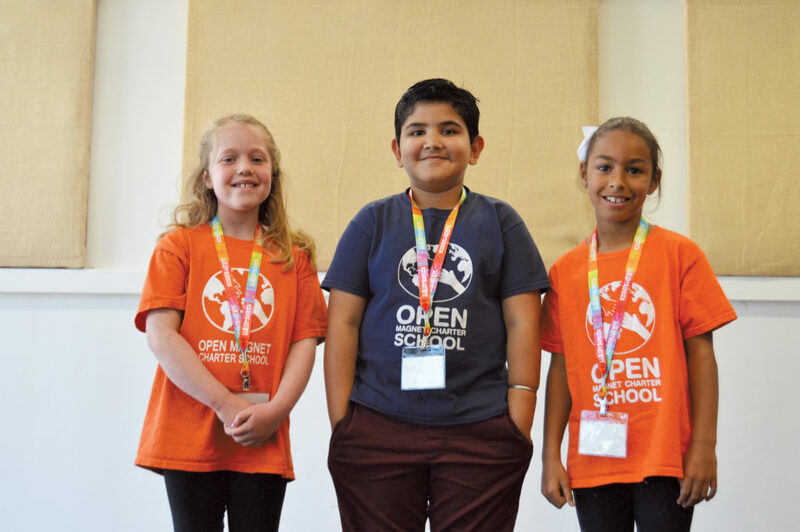 In the end, three students from Open Magnet Charter School swept the competition, taking first, second and third place. The winning students were presented with gift cards and all of the students who participated received gift bags. With the success of the inaugural spelling bee, organizers are hoping to hold another event next year, with even more schools participating. The ed foundation is also looking into the feasibility of an area-wide science fair to promote even more school collaboration.